Card and Label maker program is the professional utility to create eye-catching cards, labels, price stickers and product tags useful for small to large scale organizations. Now you can easily design and print different types of labels, cards and stickers in few countable easy steps. Software provides inbuilt different labels designing tools including Line, Ellipse, Pencil, Rectangle, Text, Picture, Arc, Triangle and star objects to design various kinds of cards and labels. 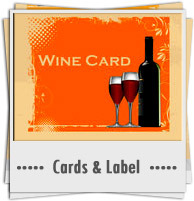 Design cards and labels in different shapes and sizes as per user requirements. Easily generates bulk number of labels and cards using different barcode and text value. Card and label design software is fully password protected that prevents from unauthorized software access. Provides facility to design new card or edit existing card. 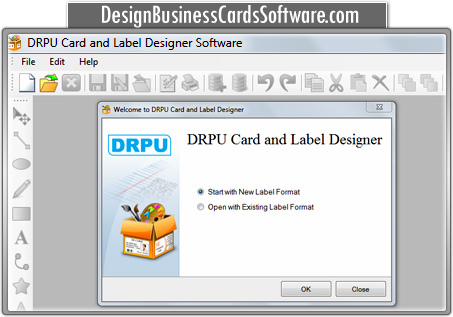 Card and label creator software is developed with colors and background settings to design colorful labels and cards. Inbuilt data set series features to design multiple labels with different barcode and text value. No technical training is required to operate the software. Easily saves created labels and cards at user specified location for future reference. Software helps to design Address labels, Invitation cards, Visiting cards, Product labels, Price tags, Cloths manufacturer stickers, ID badges, Business cards, Birthday cards, Greeting cards, Anniversary cards, Corporate cards, Business marketing cards, Membership cards, Festival cards and many other cards and labels.